Mathematics and clarinet performance double-major and fifth-year Kate Kilgus talks about her work. This column intends to find out what it means to be empathetic, to strive for understanding and to document fulfillment in action by having conversations with students working on Senior Experience Projects at Lawrence on how they are using their studies and passions as tools to create. Math and clarinet performance double major and fifth-year Kate Kilgus has filled her Lawrence experience with classes, projects and sports that satisfy her craving for hard work that leads to fulfilling achievement. 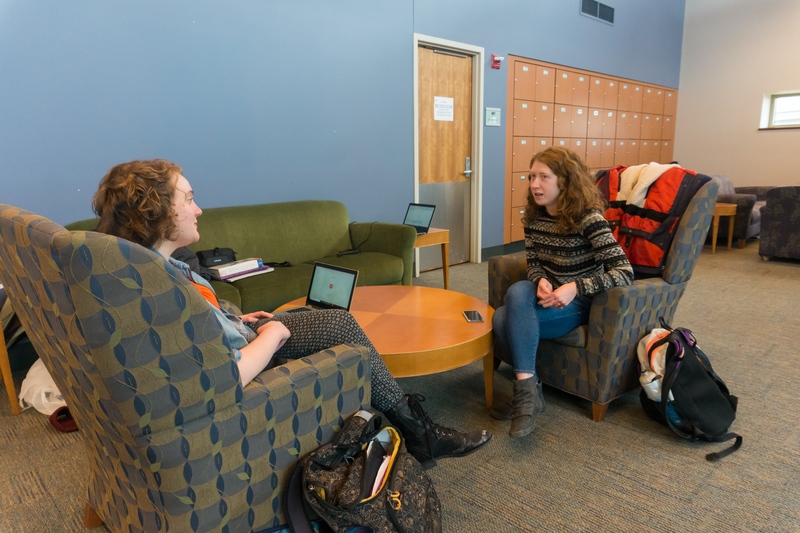 “I definitely feel old,” Kilgus stated while laughing as she explained her life at Lawrence as a fifth-year student, “but I still feel connected to campus community, and I value that.” For Kilgus, it is that sense of community that pushes her to continue to strive for achievement. Last year, Kilgus’ Senior Experience Project in mathematics culminated in her working through books of proofs revolving around linear algebra to solve and present to her fellow students and professors. Kilgus not only values that process of working to solve these problems on her own, but relishes in the community she has discovered through her problem solving. Kilgus’ true love of clarinet started at a young age, during fifth grade. She has grown to love artists like classical clarinetist Sabine Meyer and current Principal Clarinet of the New York Philharmonic Anthony McGill, and is always looking for new music that will excite her and that she can share with others.